My year of rotten health continues. I have been diagnosed with Valley Fever, a not-so-nice souvenir from our recent trip to Arizona. 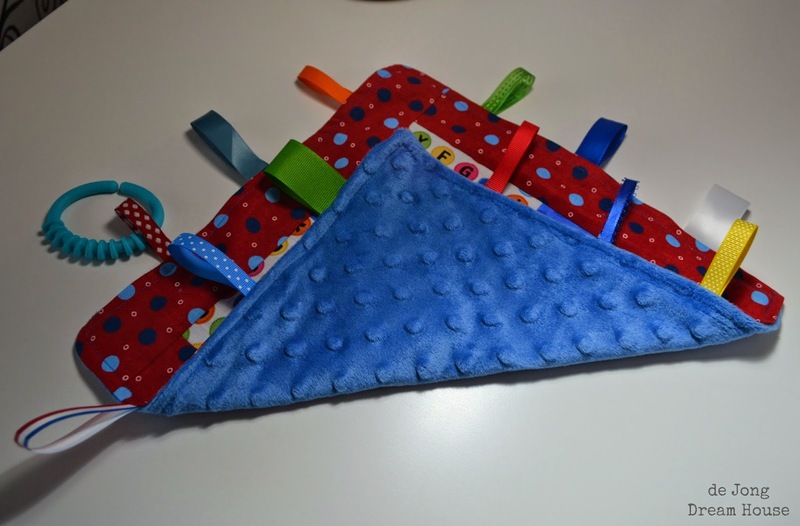 I haven't been spending a lot of time on any projects other than resting, but tonight I'm finally going to tell you about a baby quilt I made last...September. 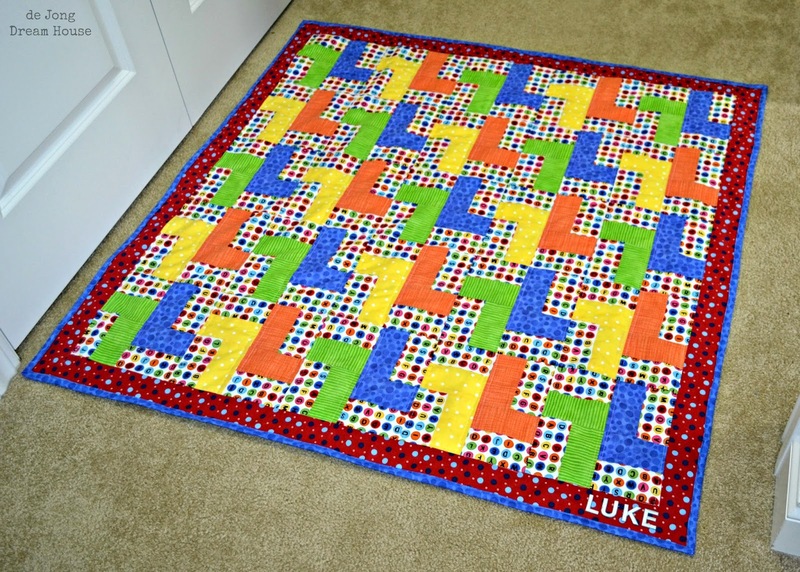 My neighbors had a little boy named Luke, so I liked the idea of making a quilt of little L's. I drew it up on PowerPoint. 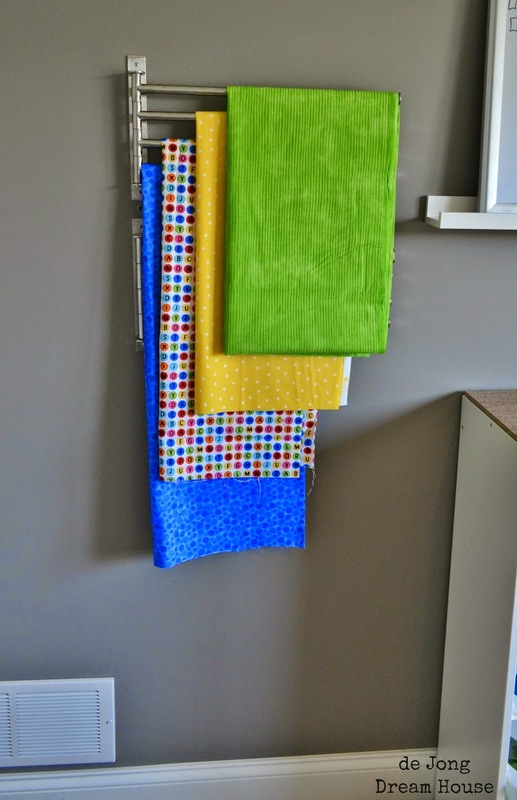 I used my then-new towel bars from Ikea to audition fabrics. I made up an instruction sheet to visualize what I needed to do. 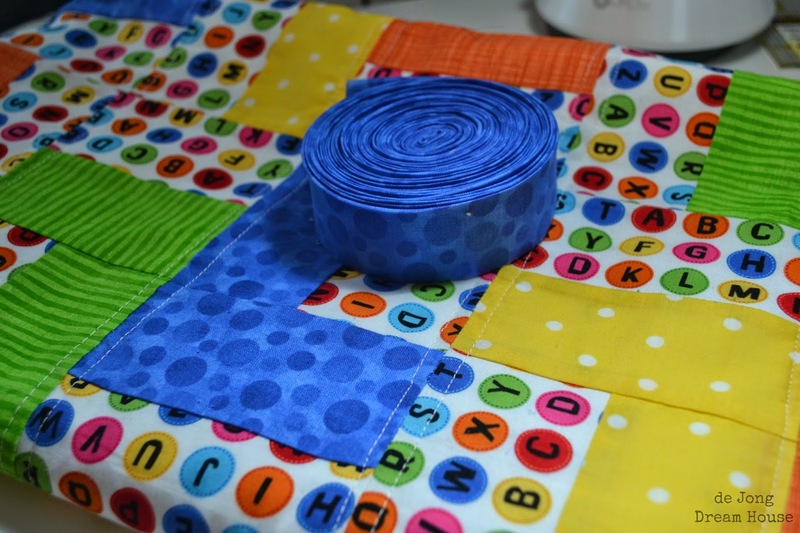 My main background fabric was a colorful ABC print. 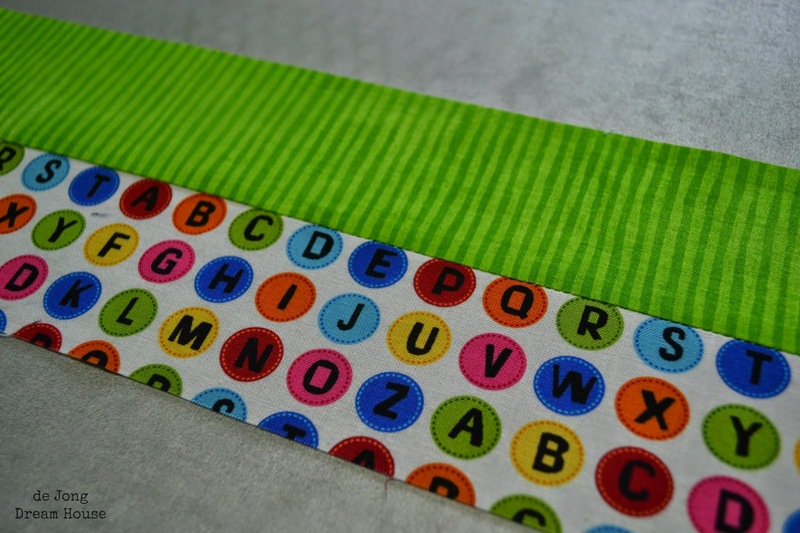 I cut a 2.5" strips of the ABC print as well as each of the four tone-on-tone prints and sewed them together along the long side. 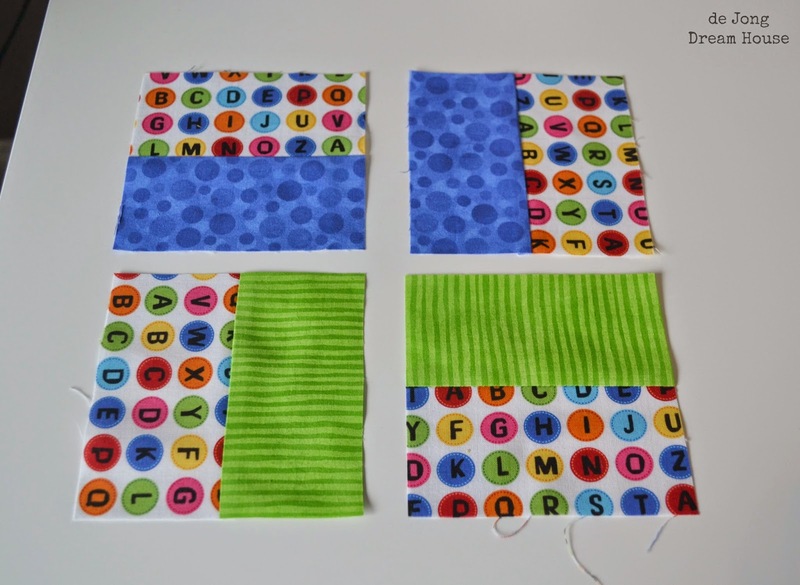 Once sewn and pressed, I cut each strip into 4.5" squares. 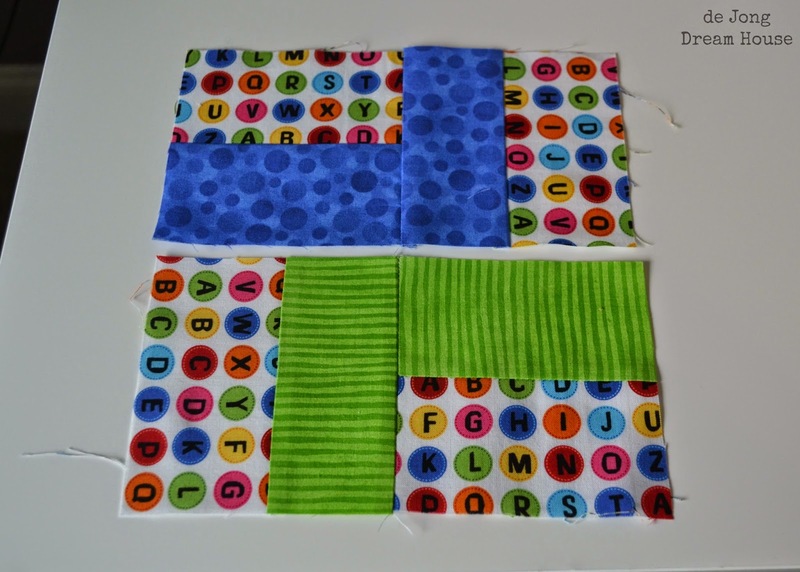 I made two types of blocks: one with blue and green squares, the other with yellow and orange squares. 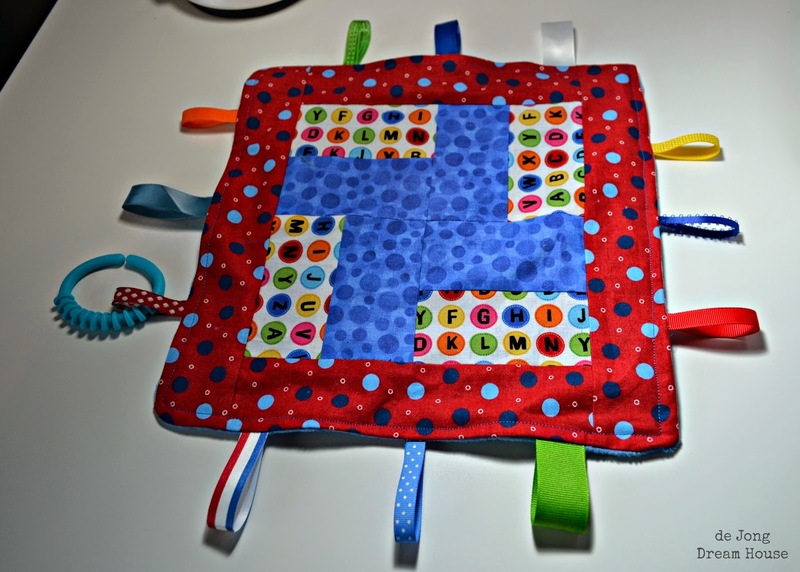 I sewed the L's together first. 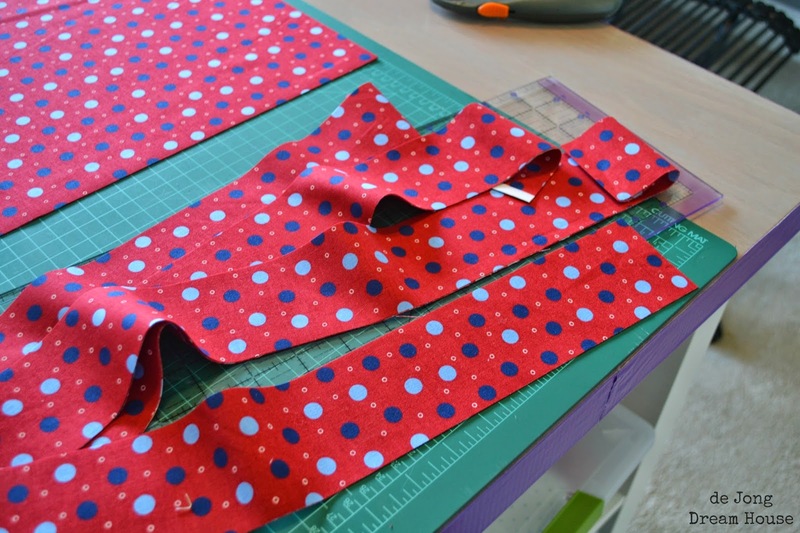 I found this red and blue polka dot print for the border. 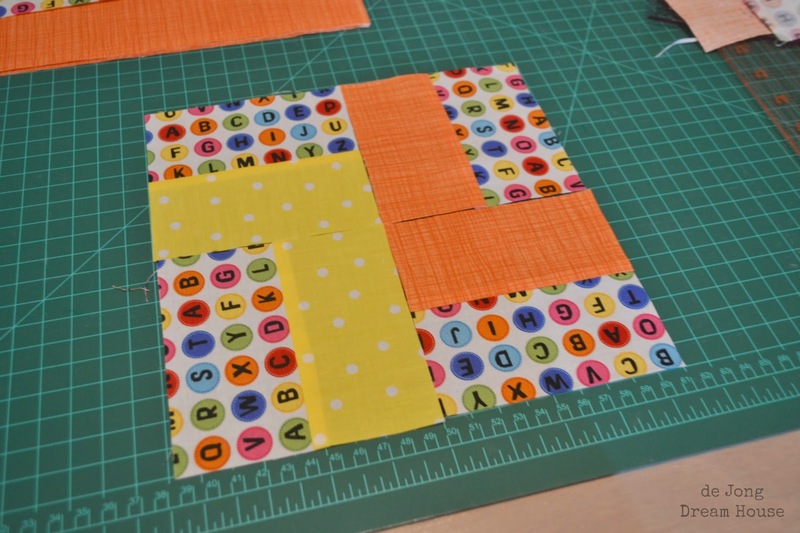 I went with easy straight line quilting. 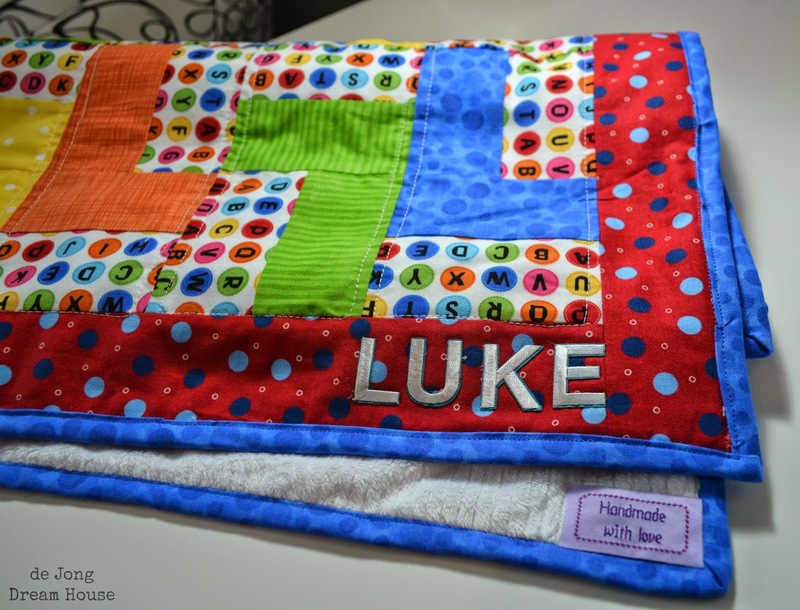 I used iron on embroidery to add the baby's name. I also made a matching tag blanket. 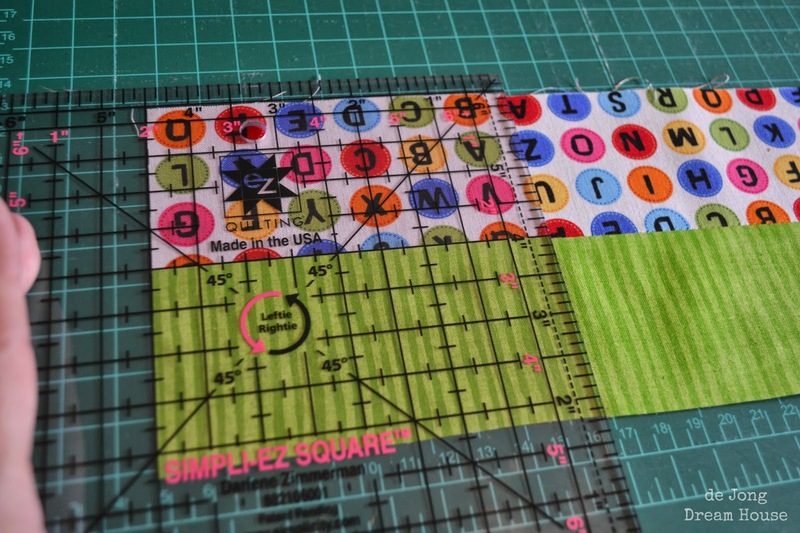 I don't make quilts for hire and I don't usually tell the recipient I'm making a quilt before it's done. I'm no expert, but I love that I have found a way to give to others when my TBI has made me a taker in so many ways. 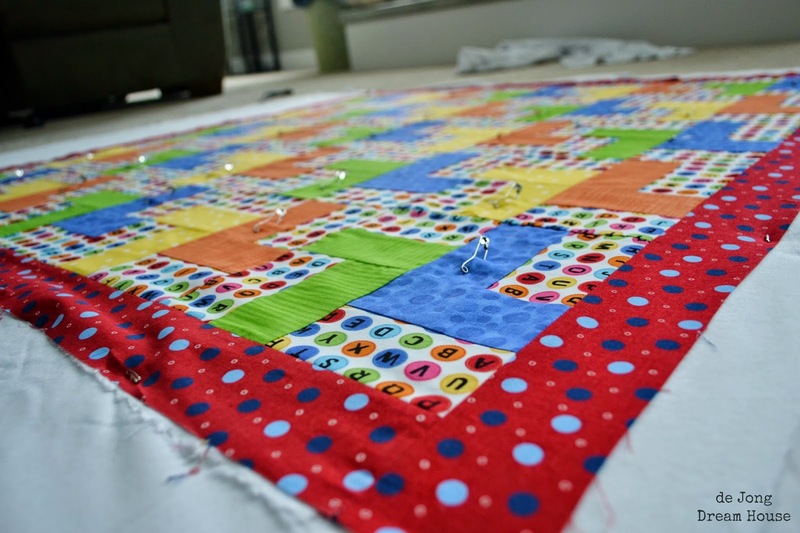 I don't expect my quilts will be heirlooms, and once they are given away, it is up to the recipient to decide what to do (or not do) with them. But, nothing makes me happier than to receive a picture like this. This is beautiful, Jen! You always find such gorgeous fabrics! And you have such wonderful ideas! 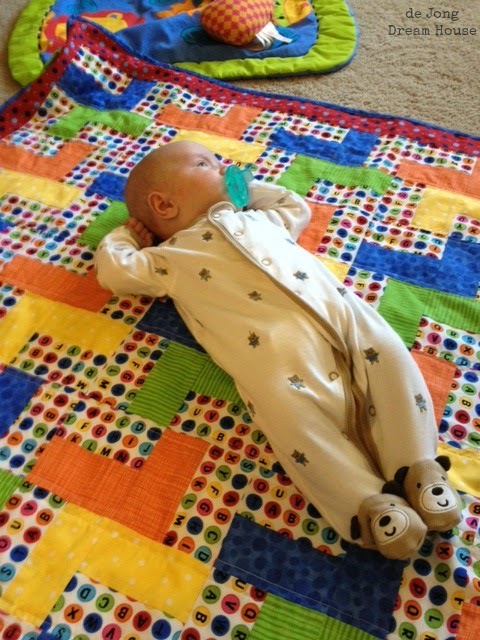 I think Luke (and his parents) like his quilt! I think it's a very special gift, indeed! Bravo! Oh dear! I hope you are recovering soon… Get well soon and may God bless you! Also, the quilt is wonderful. I think the little one and his parents will definitely admire it and put it to good use. 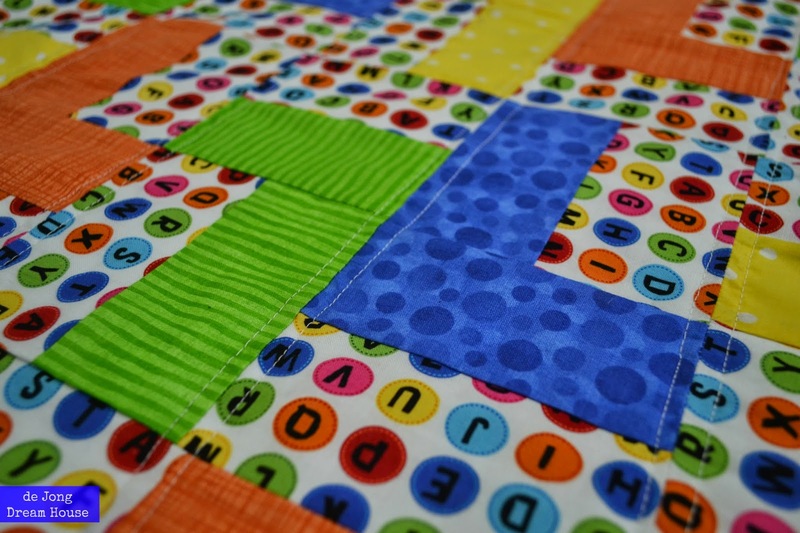 The quilt is absolutely beautiful Jen!